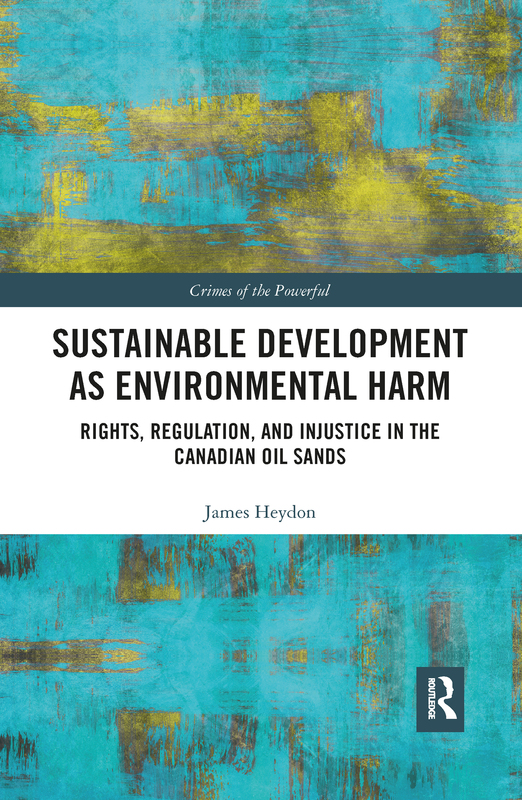 In this in-depth analysis of First Nations opposition to the oil sands industry, James Heydon offers detailed empirical insight into Canadian oil sands regulation. The environmental consequences of the oil sands industry have been thoroughly explored by scholars from a variety of disciplines. However, less well understood is how and why the provincial energy regulator has repeatedly sanctioned such a harmful pattern of production for almost two decades. This research monograph addresses that shortcoming. Drawing from interviews with government, industry, and First Nation personnel, along with an analysis of almost 20 years of policy, strategy, and regulatory approval documents, Sustainable Development as Environmental Harm offers detailed empirical insight into Canadian oil sands regulation. Providing a thorough account of the ways in which the regulatory process has prioritised economic interests over the land-based cultural interests of First Nations, it addresses a gap in the literature by explaining how environmental harm has been systematically produced over time by a regulatory process tasked with the pursuit of ‘sustainable development’. With an approach emphasizing the importance of understanding how and why the regulatory process has been able to circumvent various protections for the entire duration in which the contemporary oil sands industry has existed, this work complements existing literature and provides a platform from which future investigations into environmental harm may be conducted. It is essential reading for those with an interest in green criminology, environmental harm, indigenous rights, and regulatory controls relating to fossil fuel production.